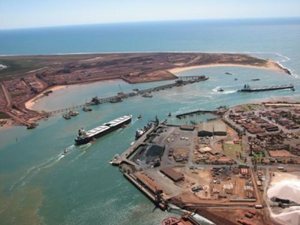 The company is now ramping up its Port Hedland port and rail operations following temporary suspension caused by the cyclone. BHP’s port is operating at reduced rates and is expected to return to full capacity later this April. The production loss has also prompted a review of the BHP’s 2019 financial year production and cost guidance. “Final production impacts and revised production and unit cost guidance will be disclosed once they are finalised,” BHP said in an ASX statement. 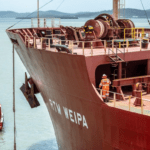 The news follows Rio Tinto’s declaring force majeure at its Cape Lambert A port facility in the Pilbara yesterday due to damage sustained by the cyclone. 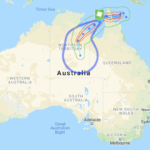 Cyclone Veronica was one of two that affected northern Australia in the same weekend, making landfall at the northwest coast of Western Australia between Karratha and Port Hedland over March 23–24. The other, a category four Cyclone Trevor, made landfall on March 23 along the southern coast of the Gulf of Carpentaria in the Northern Territory. The incidence has led to public evacuations and temporary mining stoppages, such as Rio Tinto’s Weipa bauxite operations in Queensland. 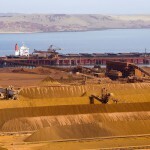 Rio Tinto has been working with certain export customers to minimise its supply disruptions. 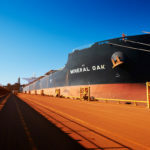 The combination of Rio’s shipping delays and fire at its Robe Valley iron ore project in January this year are expected to contribute to a loss of 14 million tonnes of production.